Create your Exquisite, one of a kind Art Deco ring centering your choice of bezel set center diamond, surrounded by calibrated mixed-cut pink sapphire and white diamonds, the top and bottom done in a fleur-de-lis pattern. Total diamond weight is approximately 0.96 carats, total Pink Sapphire weight is approximately 2.2 carats. Shown with 1.7 carat center. Custom made from 1 carat center stone and up. Center Diamond Old European-cut diamond available upon request. 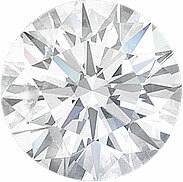 Or choose a round brilliant cut diamond. Also Available with blue sapphire.